Buying a foreclosure in Illinois can be a cost-effective way to obtain home ownership, but before diving in, people should understand how the process works. 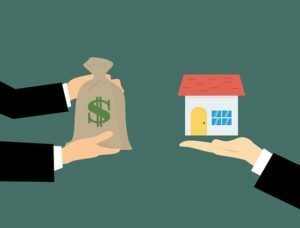 This entails buying directly from the current homeowner, but in most cases, the lender agrees to accept less than the existing balance on the mortgage loan. As a result, buyers often purchase a property at a cost that’s less than the home’s market value. Normally, an objective third party such as a sheriff or trustee will conduct real estate auctions. One of the main downsides of an auction is that the buyer purchases the home in its current state and often never sees the inside beforehand. Also, it’s important to keep the “right of redemption” law in mind when purchasing a home by auction. Under this law, the homeowner can reclaim the property within a certain amount of time if the person pays past due amounts and fees. Real-estate owned property is lender-owned. This is the most popular phase for purchasing a foreclosure because it’s typically the safest and simplest method. On the other hand, this type of property often offers the least value along with the highest level of competition. Lenders can also sell the property at any price in an attempt to profit from it. Purchasing property that is government-owned will often involve a lot of paperwork, with a slower overall process. This is because the government usually has no motivation to move the process along as they wait for a buyer who’s offering to pay the price they want for the property. Purchasing homes from certain agencies like Fannie Mae, Small Business Administration, and FHA can also save buyers money. Additionally, these agencies may help with financing. When purchasing a distressed home, buyers should also familiarize themselves with the market, consider the potential repair costs, and obtain a pre-approval from their lender before making an offer.